Previous confidential EU legal opinions on trade with and fisheries in occupied Western Sahara were later found to be wrong by the EU Court of Justice. WSRW has today requested the EU Council to publish the current legal documents. 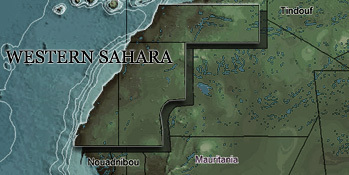 Western Sahara Resource Watch (WSRW) has today issued requests to the Council of the European Union to make public its legal opinions on the proposed Agreement extending the EU-Morocco Trade Agreement into occupied Western Sahara, and on the proposed EU-Morocco Sustainable Fisheries Partnership Agreement and the Protocol thereto, which refers explicitly to Western Sahara in its geographical area of application. "If the Council's lawyers are confident that applying the proposed agreements to Western Sahara is in line with the rulings of the EU Court of Justice, they should have no problem sharing their legal opinions", says Sara Eyckmans of Western Sahara Resource Watch. WSRW made the requests on the basis of Article 15 of the Treaty on the Functioning of the European Union, which grants citizens the right to access documents from the EU institutions, in the spirit of freedom of information. Find the requests below. It remains to be seen whether Council will share the documents. Previous requests to have access were not granted, with the Council arguing that it could not disclose its legal opinion due to "great political sensitivity". Find the censored version of the 2006 legal opinion on the EU-Morocco Fisheries Agreement here, showing only the first five paragraphs containing uncontroversial background information on the agreement. The actual legal appraisal, spanning the following six pages, had all been blanked out. The findings of that secret legal opinion were later found invalid by the European Court of Justice. "We believe it is in the interest of all involved that such highly influential documents be open for public scrutiny", Eyckmans continued. "And since both Council and Commission continue to insist that these are technical agreements that are void of any political elements, we see no reason not to share the opinions". WSRW is one 94 groups that the EU Commission erroneously claim have been "consulted" by the Commission in relation to a new trade agreement for the territory. Of the 112 groups and individuals enlisted by the Commission, only 18 had been in contact with the EU staff over the matter. All are Moroccan. The existence of these 18 Moroccan individuals and groups, is labelled as a "broad" support for a new EU trade deal covering Western Sahara. It is of imporance to WSRW to see how the opinion of these 94 opposing groups, including our own, is reflected in the legal opinion, and how the EU assesses the relevance of the 18 Moroccan groups and individuals in relation to the seeking of consent of the people of that land. The text below was filed today. The legal department of the Council of the European Union has issued a written legal opinion, allegedly stating that the currently proposed “Sustainable Fisheries Partnership Agreement between the European Union and the Kingdom of Morocco, the Implementation Protocol thereto and an exchange of letters accompanying the said Agreement” is in line with the requirements set by the Court of Justice of the European Union in Case C-266/16 of 27 February 2018. Western Sahara Resource Watch requests that the legal opinion of the Council on aforementioned Agreement be made public, as per Article 15 of the Treaty on the Functioning of the European Union, granting EU citizens the right of access to such documents. The European Commission has assured publicly that Council’s legal department has concluded that the currently proposed Agreement in the form of an Exchange of Letters between the European Union and the Kingdom of Morocco on the amendment of Protocols 1 and 4 to the Euro-Mediterranean Agreement establishing an association between the European Communities and their Member states, of the one part, and the Kingdom of Morocco, of the other part (COM/2018/481 final – 2018/0256 (NLE)), is in line with the requirements set by the Court of Justice of the European Union in Case C-104/16 P of 21 December 2016.